Welcome to Spa Manufacturers, Inc ... located in the Tampa Bay, Florida area we are your source to buy hot tubs and hot tub spa products direct from an established spa manufacturer! Keeping jobs in the USA for over 36 years! Free shipping in the continental US! 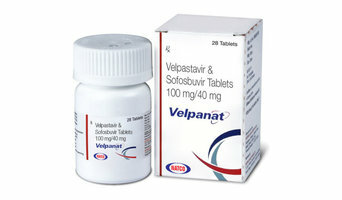 Buy Velpanat (Generic sofosbuvir and velpatasvir) contains a combination of sofosbuvir and velpatasvir. Sofosbuvir and velpatasvir are antiviral medications that prevent hepatitis C virus (HCV) from multiplying in your body. We custom make covers for any spa including free form and oversize with many upgrades to choose from. All covers are manufactured using only top quality materials, 14 color to choose from, and provides you with a durable and lasting spa cover. Safety, energy efficiency, weather, and prolonging the life of your hot tub are many reasons to purchase your quality hot tub cover today! Our covers are manufactured right here in the USA! 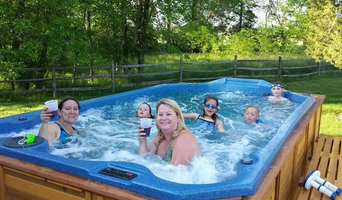 We will ship your Hot Tub Cover for FREE in the Continental United States! (Hawaii, Alaska, and Canada shipping – an additional fee will apply) You will receive your custom made cover in 14-21 business days and we will give you a 5 YEAR LIMITED MANUFACTURER WARRANTY on all spa covers! Since 1981, it has been our sincere belief that providing you with quality products and standing behind those products is our only path to success. We are the leader in our industry and have more pool and spa heat pumps installed than any of our competitors. We are committed to quality. Every one of our units is 100% tested before it leaves the factory. We have used our experience in the industry to provide you with products that represent today’s leading heat pump technology. With our state of the art Research and Development facility, and our full-staff Engineering department, we can assure you that our products will perform as designed – Guaranteed! We will continue to provide you with the best performing, highest-quality products for many years to come. With our unbeatable warranty, you receive with your AquaCal® heat pump, you are assured the best quality heat pump money can buy. This is just one way of expressing, to our valued customer, the commitment to excellence at Team AquaCal®. Spa Cover Warehouse offers top quality spa covers at reasonable prices. 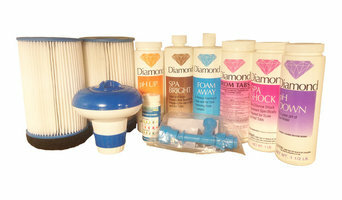 Being committed to offering high quality spa covers and exceptional customer service. Our spa covers are manufactured using marine grade vinyl with energy efficient polystyrene inserts. All inserts are heat sealed with a moisture proof barrier. The UV inhibitors in the vinyl and thread also act as an anti-aging protection for your spa cover, all these features make our Spa covers stand out above the rest and truly exceptional. We appreciate you taking the time to visit our site and look forward to doing business with you! Solis replacement covers are specifically designed for harsh winter climates. We take pride in providing our customers covers that last longer and perform better than any other covers available. It’s important that you do some research before visiting a local Fruitville spa and hot tub dealer. While they can give you lots of information about features and financing, you should have an idea of where you would like to position your spa and what its main function will be. Do you plan to use it mostly for relaxation or socialization? How many people will be using it? All of these things will help the hot tub dealer pick the best models for you. Decide who will be responsible for daily maintenance in your household and if the extra energy costs are something you’re actually willing to incur. Also, know that most hot tub stores in Fruitville, FL let you do test soaks, also known as a “wet test”, where you can throw on your suit and take each model for a spin in the showroom so you know exactly how they feel before purchasing. Don’t be shy — just think of it as test driving a car! Find spa and hot tub dealers in Fruitville, FL on Houzz. Narrow your search in the Professionals section of the website to hot tub and spa dealers in Fruitville, FL. You may also look through photos to find hot tub designs you like, and ask about the details of the spa, including the manufacturer and where it was was purchased.